Abbi Scarlet: Etsy Shop Feature: Why did I make that? I was instantly attracted to "Why did I make that?" because of their amazing cookie bunting made from felt! What a unique and cute item. I'm a sucker for cute things and anything food themed so I definitely had to have that. 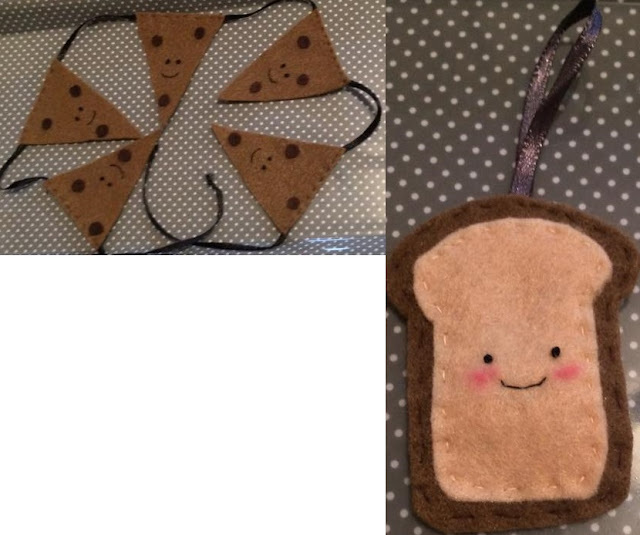 I also noticed an adorable little toast ornament which is made from felt too. Here are my items! I think they're absolutely adorable, I love how the little toast is blushing and the cookie bunting is gorgeous too. These will look lovely in my kitchen, I'm super pleased with them. They're very precisely sewn and so so lovely.